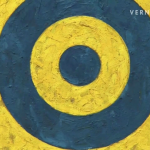 With the exhibition “Jasper Johns: An Allegory of Painting, 1955 – 1965”, the Kunstmuseum Basel presents Jasper Johns’ groundbreaking early work, beginning in the mid-1950s with such famous works as “Target with Four Faces”. Jasper Johns is one of the most important representatives of American art since the middle of the last century. The early career of Jasper Johns had an immense impact on the subsequent development of advanced art – pop, minimal, process, conceptual, and performance genres. Born in 1930 and now living mainly in Connecticut, Jasper Johns has had a close relationship with the Kunstmuseum Basel for many years. Jasper Johns: An Allegory of Painting, 1955 – 1965, Kunstmuseum, Basel, Switzerland (June 2-September 9, 2007). Impressions (press preview and vernissage), June 1, 2007. Part 1/2. Click here for part 2.